We’ve not covered the latest BBC fiasco as of yet – we waited to see how it would develop before making comment. But we’ve had enough messages of disgust to know our readers are beyond unhappy and as well they should be. 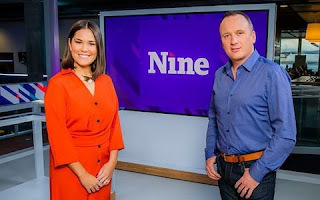 Let’s set the stage – BBC Scotland’s flagship show The Nine decided to cover the issue of domestic violence. Fair enough – a legitimate and serious topic. Funnily enough, Gilchrist is absolutely dead correct – it is not a periodic post-match argument between a football fan and their partner out of pure frustration and then subsequent regret over their appalling actions, it is a very serious and sustained ongoing volley of abuse, both psychological and physical, usually by the male to the female over a long period and time often daily. But of course, the fact Gilchrist chose to name drop a specific team rather than generalise football overall is the deeply troubling factor here – whether it was Rangers, Celtic or Aberdeen, by naming a team Gilchrist has suggested, genuinely worryingly, that it is Rangers fans who are the biggest (or only) cause of post-match violence in Scotland, be it categorised as ‘domestic abuse’ or otherwise. Naturally, frankly we wouldn’t expect any less from the BBC – they’ve been patently clear with their anti-Rangers agenda anyway – but we find this particular message truly disturbing. That the BBC are prepared to trivialise the seriousness of wanton violence against women by using an example deliberately focusing on ‘the’ Rangers (yes, we noticed that one too, Nicola) – she, by smearing Rangers, while factually being correct to an extent, undermined her own legitimacy by bringing Rangers as an institution into it. By suggesting this is a Rangers problem and not a football and social one, she deeply undermined her credibility and put thousands of women in danger because their husbands support Celtic or Aberdeen. It was disgraceful. Expect no better from the BBC, never heard of her before but suspect she will now get all the notoriety she wants and then some. Some football fans are well known for their preferences, maybe she is insinuating that only Rangers thugs have relationships with adult women, while the predelictions of other clubs fans run in different directions. So well written Ibrox Noise and great coverage of this. I'm not one for caring about the BBC so much now but this one has me so angry. Parliament need to step in now. This is the national broadcaster who we pay for! It does appear we’ll agree occasionally Coco! Thank you for your kind words. We need to go to their offices and kick up a storm. What do you say, UB's? ?